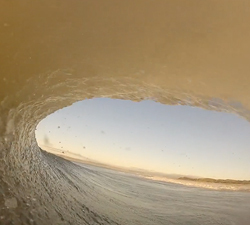 One minute of chocolate POV barrels with Kyle Latch. Music: Weather Man – Xavier Wulf & Bones. Some trippy visuals with Portuguese legend Luís “Porkito” Pereira. Brought to us by Officina Skateboard. A short clip featuring Japanese bodyboarder Toru Arai, pulling into some thick chocolatey kegs at home. Two clips from one session (we think) with Justin and Jared Brown, shot in POV and by Drone at Newport Beach, California. Legendary UK bodyboarder Mark Thomas celebrating his 25th year as a bodyboarder with a trip to Central America. Nine minutes of slab action with East Coast Australian rider Joseph Zaccagnini, tearing it up at home. Mixed in with a few lifestyle shots, NSW bodyboarder Dan Stella hooking into some summer slabs. Lackey tearing up Straddie, Make sure you watch up to the 1.02 minute mark where he makes an epic DK POV barrel. 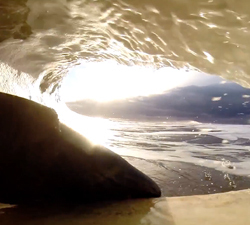 Some tasty New Zealand POV shots from the GoPro lens of Hayden Parsons // Spit & Polish Media. 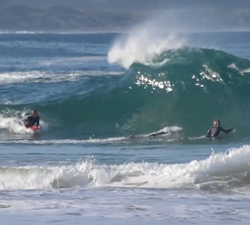 A short clip with Johann Rademeyer and friends on recent trip to the sharky waters of the East coast of South Africa.